Draft: 2014, Los Angeles Angels, 1st rd. Attended Middleboro High School in Middleboro, Mass. In his first full major league season, his 12 wins were second most on the Atlanta staff, trailing just Mike Foltynewicz...Became the first lefthander to win 12 games for Atlanta since Mike Minor won 13 in 2013 ... The Braves logged just 33 wins by left-handed starters from 2014-2017, tied for fifth fewest in the National League ... His 81 walks on the season tied for fourth most in the majors ... In his 12 wins, allowed 16 total runs for a 1.55 ERA ... Went 8-2 and pitched to a 2.59 ERA (25 ER/87.0 IP) over his first 15 starts of the season...Among N.L. starters with at least 85.0 innings in that span, his ERA ranked fifth lowest ... In the 15 turns that followed, went 4-7 with a 5.42 ERA (46 ER/76.1 IP)...His ERA ranked second highest among 54 National League pitchers with at least 70.0 innings in that span ... Finished the month of May 5-0 with a 1.54 ERA (6 ER/35.0 IP) and no home runs allowed...Atlanta went 5-1 in his six starts ... His five wins in the month were most in the majors, while his 1.54 ERA ranked sixth best in the N.L...His batting average against of .158 was the lowest in the league among qualifying pitchers ... Tossed 6.0 scoreless innings and allowed a career-low one hit, 5/13 at MIA...The start was his third consecutive scoreless turn ... Became the first Braves pitcher over the last 110 seasons to allow two hits or fewer and no runs in three consecutive starts ... Went 4-0 with a 0.75 ERA (2 ER/24.0 IP) in his four starts against Miami...Became the third Atlanta starter in franchise history to beat the Marlins four times in a single season, joining Tom Glavine and Greg Maddux, who both did so in 2002 ... Came within one strike of a no-hitter, 7/29 vs. LAD...Chris Taylor hit a two-strike single to left with two outs in the ninth for the Dodgers' first hit ... Newcomb's performance was the longest a Braves pitcher took a no-hit attempt since Shelby Miller also went 8.2 no-hit innings on 5/17/15 at Miami…Miller allowed a first-pitch single to Justin Bour ... Joined Miller as the only two pitchers in Atlanta franchise history to lose a no-hitter with two outs in the ninth inning, according to research from the Elias Sports Bureau ... In 18 games, 17 starts, following an Atlanta loss, went 8-4 with a 3.35 ERA (36 ER/96.2 IP) and a .231 opponents' batting average ... Newcomb's eight wins following a loss tied for ninth most in the majors, while his 3.35 ERA was sixth lowest among pitchers with as many starts following a team defeat ... Went 8-3 with a 2.80 ERA (27 ER/86.2 IP) in 17 games, 16 starts, on the road…Limited the opposition to a .195 batting average in these games…Finished 4-6 with a 5.12 ERA (44 ER/77.1 IP) in 14 starts at SunTrust Park ... Appeared in two games of the NLDS vs. LAD, making the start in Game 4 at SunTrust Park, the Braves' only victory in the series…Did not receive a decision in either game and compiled a 1.93 ERA (1 ER/4.2 IP) ... Became the first left-handed pitcher to start a playoff game for Atlanta since Mike Minor did so in Game 2 of the 2013 NLDS, also versus Los Angeles (NL)...That start by Minor was the last playoff game that Atlanta won prior to Game 4 ... Tossed 2.0 scoreless innings in relief during Game 1. In his second season in the Atlanta organization, made his major league debut after beginning the season with Triple-A Gwinnett... Went a season-best 6.1 innings in his MLB debut on 6/10 vs. NYM in the first game of a doubleheader, allowing one unearned run, four hits and two walks while striking out seven... He became just the second pitcher in Atlanta franchise history to go as long in his MLB debut and not allow an earned run…Larry McWilliams did so on July 17, 1978, also against the Mets, also in the first game of a doubleheader and also in Atlanta... Became the seventh Braves pitcher to start against the Mets in his MLB debut...The previous six, including Hall-of-Famer John Smoltz on 7/23/88, combined to go 4-1 with a 2.35 ERA (10 ER/38.1 IP).... Finished with 108 strikeouts in 100.0 major league innings…His 9.72 K/9 was the second highest mark by a rookie starter in Atlanta franchise history (minimum 75.0 innings)...Only Brandon Beachy's 10.74 rate in 2011 was higher.... Became one of three rookie lefties to start for the Braves in 2017 (also, Luiz Gohara and Max Fried)… The last time the Braves had that many rookie lefties make a start in the same season was 1945, when Bob Logan, Lefty Wallace and Bob Whitcher did it.... Earned his first MLB win while becoming the first pitcher in Atlanta franchise history to begin his career with four consecutive quality starts with a 3-0 win over SD at Petco Park on 6/27... Struck out eight over 6.0 innings to lower his ERA to 1.48…The only other Atlanta starter to have a better ERA through his first four career appearances was Kyle Davies (0.77) in 2005... Went 6.0 innings and allowed three runs to lose his second start, 6/16 vs. MIA…The Braves did not score a run while he was on the mound in his first two starts…Since the franchise moved to Atlanta in 1966, no Braves pitcher lost his first two appearances despite collecting a quality start in both. Following his quality-start streak to begin his career, went 0-5 with a 6.55 ERA (25 ER/34.1 IP) over his next seven starts from 7/4-8/9 in which he faced eventual playoff teams Houston, Washington, Chicago (NL), and Los Angeles (NL) twice…Also faced Philadelphia twice in the stretch... Earned his first career home win, 8/20 vs. CIN to snap his five-game overall losing streak...Started his career 0-6 with a 5.02 ERA in seven starts at SunTrust Park...Held the Reds scoreless over 5.0 innings... Compiled a 3.99 ERA (21 ER/47.1 IP) over his final nine starts…Only completed 6.0 innings twice during that stretch (8/9 vs. PHI and 8/15 at COL)... Allowed 10 total home runs and just one over his final seven starts (35.1 innings)...Finished the season with a 25.2-inning homerless streak... Righties hit nine of the 10 homers against him… Righties slugged .427 against him, compared to .396 by left-handers... Walked eight over 24.1 innings (2.96 BB/9) in his first four starts, but then produced a 5.83 BB/9 (49 BB/75.2 IP) mark through the end of the season... Until his selection to the MLB roster on 6/10, spent the entire season with Triple-A Gwinnett... At the time of his promotion, tied for the team lead with 11 starts, while compiling a 3-3 record, 74 strikeouts and a 2.97 ERA…His strikeouts total was second most in the IL at the time of his promotion, while his ERA ranked seventh. Spent the year with Double-A Mississippi, tying for the Southern League lead with 27 starts...His 320 strikeouts over the last two seasons are the second most among all minor leaguers...He is 11 off the lead of Jaime Schultz...In his first season in the Braves organization, fanned 152, tied for 18th most among all MiLB players and most in the SL...His 9.77 K/9 ranked fifth best among qualifying minor leaguers...His 71 walks were tied for the 13th most in MiLB...Made two postseason starts...Took a no-decision in a Game 1, 6-5 loss of the first round against Pensacola and lost, 2-0, in Game 2 of the championship series at Jackson...Entered 2016 as the Braves' second-best prospect according to Baseball America. Ended the 2015 season as LAA's top rated minor leaguer, according to the publication ... Went a combined 9-3 with a 2.38 ERA (36 ER/136.0 IP) in 27 games (27 starts) across three minor league levels for Los Angeles (AL)...Struck out 168, tied for the second most by any minor leaguer ... His 11.12 SO/9 ratio ranked second in the minors among pitchers with at least 130.0 innings...Only 32 minor leaguers since 2000 have compiled a single-season SO/9 mark as high as Newcomb's 11.12 (minimum 130.0 innings) ... Walked 76, the fifth most in the minors...Issued at least one walk in each of his 27 starts ... Named to the USA roster for the Futures Game during the All-Star break, tossing a perfect inning of relief in a 10-1 win over the World squad ... Began the season with Single-A Burlington, appearing in seven games (seven starts) and going 1-0 with 1.83 ERA (7 ER/34.1 IP) before a promotion to High-A Inland Empire on 5/16.... Ranked second in the Midwest League with 45 strikeouts at the time of his promotion ... Named the California League Pitcher of the Week on 8/3 after tossing 6.0 shutout innings to beat Lake Elsinore on the road, 7/28 ... Moved to Double-A Arkansas on 8/2 and allowed four runs total over his first five Double-A starts (28.0 IP/1.29 ERA), 8/2-8/25 ... Tossed 7.0 no-hit innings on 8/25 vs. Tulsa. April 14, 2019 Atlanta Braves optioned LHP Sean Newcomb to Gwinnett Stripers. June 10, 2017 Atlanta Braves selected the contract of LHP Sean Newcomb from Gwinnett Braves. April 12, 2017 LHP Sean Newcomb assigned to Gwinnett Braves from Danville Braves. April 8, 2017 LHP Sean Newcomb assigned to Danville Braves from Gwinnett Braves. April 4, 2017 LHP Sean Newcomb assigned to Gwinnett Braves from Mississippi Braves. January 25, 2017 Atlanta Braves invited non-roster LHP Sean Newcomb to spring training. April 4, 2016 LHP Sean Newcomb assigned to Mississippi Braves from Gwinnett Braves. January 7, 2016 Atlanta Braves invited non-roster LHP Sean Newcomb to spring training. January 7, 2016 LHP Sean Newcomb assigned to Gwinnett Braves. November 12, 2015 LHP Sean Newcomb roster status changed by Atlanta Braves. 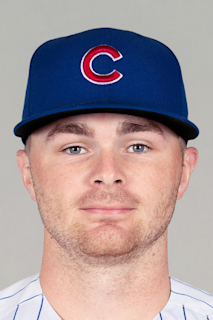 August 2, 2015 LHP Sean Newcomb assigned to Arkansas Travelers from Inland Empire 66ers. May 15, 2015 LHP Sean Newcomb assigned to Inland Empire 66ers from Burlington Bees. December 23, 2014 Los Angeles Angels invited non-roster LHP Sean Newcomb to spring training. August 9, 2014 LHP Sean Newcomb assigned to Burlington Bees from AZL Angels. July 20, 2014 LHP Sean Newcomb assigned to AZL Angels. July 18, 2014 Los Angeles Angels signed LHP Sean Newcomb.